I have to admit I was quite shocked to hear of the blockbuster trade yesterday between the Philadelphia Eagles and Buffalo Bills. The Eagles traded 26 year-old running back LeSean McCoy to the Bills straightup for linebacker Kiko Alonso who missed the 2014 season with an ACL injury. The trade will become official next Tuesday at 4 p.m. eastern time when the new league year begins. A trade of this magnitude during training camp or the season would send shockwaves around the NFL, but seems even bigger now before free agency begins on March 10. 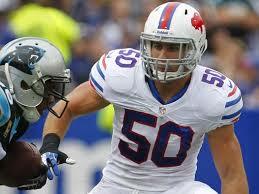 At first glance, it looks like the Bills received the better of the trade. While they will miss Alonso, who knows how his knee will be coming off surgery. Sean Lee of the Dallas Cowboys can’t seem to get back on the field after his many injuries playing the demanding position of middle linebacker. 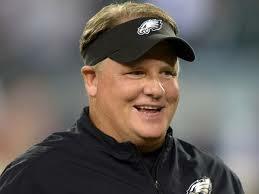 There is no doubt this is Chip Kelly’s team now, and he is going to build it his way. In January, Kelly was given full control of personnel decisions by Eagles’ owner Jeff Lurie which means general manager Howie Roseman does not have control over personnel decisions. Kelly arrived in Philadelphia two years ago from the University of Oregon and had not made many changes to the team until this offseason. The biggest change Kelly had made after his first season was trading Pro Bowl receiver, Desean Jackson, to division rival Washington. This move was not popular with players or fans, but Kelly did not seem to care. Now he has traded away the team’s all-time leading rusher who is just hitting his prime. Sources say McCoy is not happy with the trade since he was born in Pennsylvania, played his college ball at Pitt, and was fortunate enough to get drafted by Philly. By trading McCoy, Kelly has saved almost 12 million against the 2015 cap. Philadelphia created even more cap space yesterday releasing defensive end Trent Cole and cornerback Cary Williams who would have counted 11.625 and 8.17 against the salary cap, respectively. NFL Insider Peter King shared the following information on Kelly. With McCoy’s elusiveness, I can’t say it is a bad thing that he runs east-west in addition to north south. He has the speed to get outside and take the ball the distance from any spot on the field. Since the trade, rumors have been abuzz that the Eagles may go after DeMarco Murray or Mark Ingram in free agency. What a coup that would be if Kelly nabs Murray to go against his former team two times a year. If Murray or Ingram sign elsewhere, there are plenty of other free agent backs available, or Kelly could choose to address the situation during the draft. Chris Polk and Darren Sproles remain on the roster, but I think Kelly looks at them as change of pace backs who provide depth and valuable insurance if his starter goes down. Now that he has reunited himself with Alonso who played for him at Oregon, I would not put it past Kelly to make a splash in the draft and try to acquire his former Oregon quarterback, Marcus Mariota. Kelly values quality players over stashing draft picks to bring in unproven players drafted in later rounds. It is clear Kelly has been trying to create a culture where players want to be in Philadelphia and they buy into his coaching philosophies. He wants players who play hard everyday in practice as well as games. After his trade of McCoy and recent player releases, Kelly has created nearly 50 million in cap space to pursue free agents and rebuild his porous defense. NFL coaching legend and Hall of Famer Bill Parcells used to say when he was coaching, “If he is expected to cook, he should at least be able to go out and buy the groceries” in reference to his need for input regarding the players he was expected to coach. I always liked that quote and agree a coach should have a say in the players he coaches. It is a sure bet that Kelly will use his money wisely when buying groceries during the free agent frenzy that begins March 10 at 4 PM EST. Only time will tell who made out better in the trade. 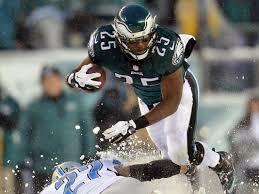 As of now, my money is on Shady McCoy although Alonso will make an immediate impact on the Eagles’ defense.